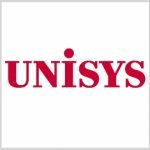 Unisys (NYSE: UIS) has secured a potential five-year, $250 million blanket purchase agreement to help the Transportation Security Administration operate, maintain and safeguard security screening tools fielded at over 400 U.S. airports. The company said Monday the Domain Awareness Integrated Network Support Services BPA has a one-year base term and four one-year options and was awarded through TSA’s Security Technology Integrated Program. Unisys will leverage its portfolio of Stealth microsegmentation software and security offerings to deliver operational and application development support in order to link and integrate data from nearly 14,000 baggage and passenger screening tools and other security devices operated by TSA. “Through this work of deploying Stealth and developing, implementing and maintaining these mission-critical applications for TSA, Unisys will assist the agency in its ongoing mission to ensure safety for the hundreds of millions of U.S. citizens who rely on air travel every year,” said Amy Rall, group vice president for homeland security and critical infrastructure at Unisys’ federal business. Unisys’ Stealth offerings work to protect users, applications, data and other information technology systems from cyber threats through the use of microsegmentation technology.